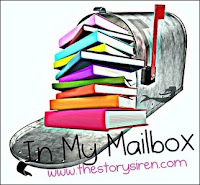 “In My Mailbox” is a weekly event hosted by Kristie at The Story Siren through which bloggers can showcase all the books they’ve received/purchased/absconded with. This week I only received two new books, but that’s probably a good thing. My “to read” list is sitting pretty at 100 titles right now. I’ve got more than enough on my plate as it is. Anyway, on to the books! Curse the Names by Robert Arellano – I received this physical ARC from the Librarything Early Reviewers program, and it looks promising. The story has something to do with a journalist trying to unearth some secret about the Los Alamos nuclear laboratories that could spell disaster for the entire country. It sounds pretty good, made better by the fact that Arellano’s previous novel Havana Lunar was nominated for an Edgar Award. I’m excited to read it. Social Punk by Monica Leonelle – I mentioned Monica’s new book in my What’s on Tap post for this month, but it bears mentioning again. It’s a dystopian science fiction novel, a genre I tend to eat up like candy. 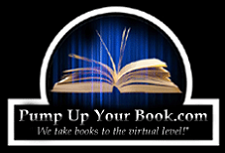 I’m also participating in her blog tour, which means another author interview at the end of the month. Thanks for stopping by, Patricia. Yeah, Social Punk looks really good. I've read the first couple pages, and I'm eager to get into it--gotta finish the book I'm on right now, though! And you betcha. I'll be happy to pop on over to your blog. See you there! I'm looking forward to your review of Social Punk. Get it up there! I also checked out that interview, and WOW, does that sound like a heady book. The concept is an interesting one. In The Comedy of Errors Dromio states that "words are but wind," which they are--exhalations of breath with sound attached to them. The only meaning that they have are what we as people and society put on them. But that meaning makes them more than just wind--they have the ability to heal and to wound, to encourage and to inspire, to instill fear or hate. Words are a powerful thing, much more powerful than the base elements of words themselves. They have the ability to affect us physically, psychologically, emotionally, and spiritually--but it's not the words themselves that have the power. It's us. Unless we attach meaning to them, they have no effect. I mean, consider someone saying "you're a worthless piece of crap" to you in... Maori, or something like that. You might be able to get a general idea of the meaning from body language or tone, but the words themselves would be meaningless. Words are powerful, but they're no more powerful than we allow them to be. At least, that's my interpretation. What do you think? I think that you're absolutely right. More than the individual words themselves, I find myself fascinated by the construct of communication: how we communicate, why, gender differences, cultural differences, etc. I find communication between couples during times of conflict to be particularly fascinating. As an obsessive reader and as a student, I can think of nothing I hold as powerful as the ability to communicate. Even seemingly one-way communication, like reading a book, has the power to transform us, etc. So when I think of a society in which all communication: dialogue, nonverbal gestures, the written word, signage, etc. is lethally toxic to us, my only thought is: what do we have left? When I read this book, I realized that literally my entire life is devoted to communication and language in one form or another. If that was taken away from me, I would lose one of the most fundamental aspects of myself. And that's exactly why the book sounds so haunting to me. So much of our society (and my own personal self worth, really) is based upon language and communication. But in the end (and I think the article made mention of it), there's a lot of communication that's non-verbal. I've heard varying figures--something like 50%? Anyway, it seems to me that the most meaningful communications in my life--a hug from my boy, a pat on the back from my dad, a touch from my wife--none of it hinges upon verbal communication. If we couldn't communicate verbally our lives and our society would definitely change, but we would still have human relationships. We would still have families and friends, and we would still find fulfillment through other means. 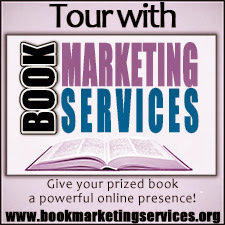 I just read Socialpunk for the blog tour also! It was surprisingly good, but had a lot of back story until the action started. I'll have to check back here when your review is posted and see what you think.